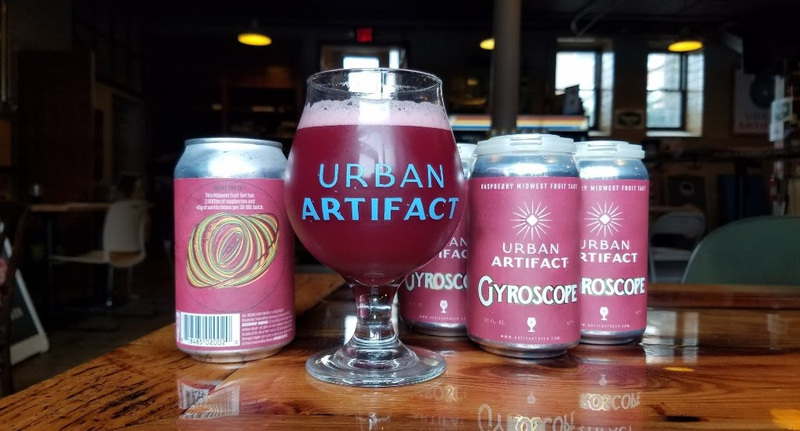 Urban Artifact utilizes only whole fruit and fresh spices to flavor beers. They make no exception with their line of beers named Midwest Fruit Tarts. The newest in the Midwest Fruit Tart series is Gyroscope which shines with decadent raspberries. "A fruited beer should be bold and unadulterated. Gyroscope is just that; it's elegant, nuanced, and refreshing. 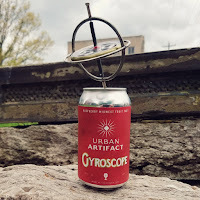 Real fruit is better, and Gyroscope is a perfect example of why that's true," explains brewer Nic Pater. Gyroscope is set to release the week of May 7th, on draft and in cans. It will go on sale at better beer retailers in the Cincinnati and Dayton markets. The Urban Artifact taproom release is Tuesday, May 8th starting at 4 pm.